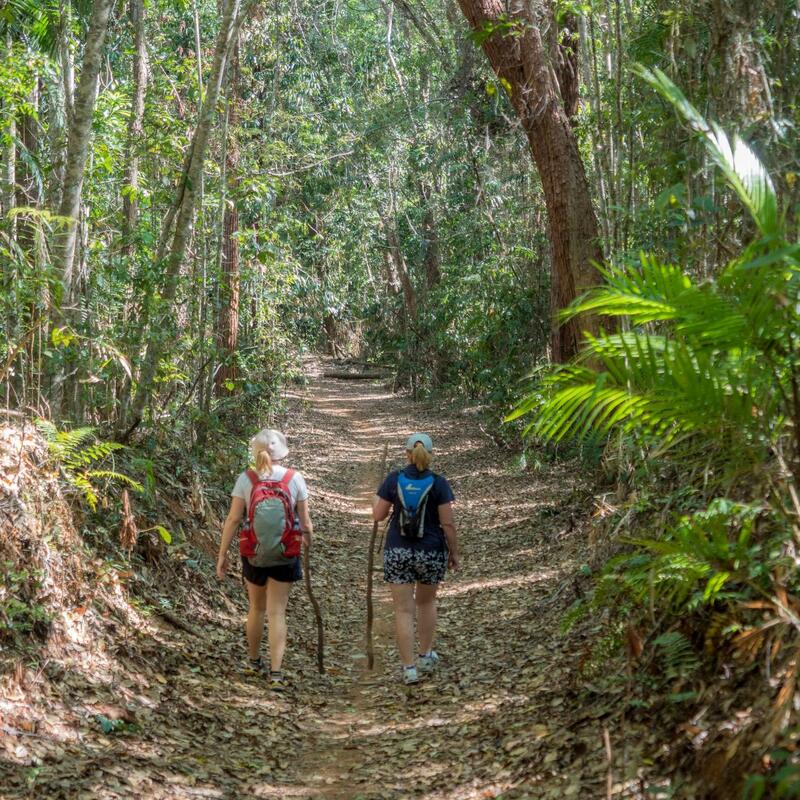 Leave the crowds behind to explore the hidden ranges near Port Douglas. Enjoy a scenic drive through rainforest and countryside, taking in the views towards the Daintree Rainforest. Starting at the top of the historic Bump Track, walk down along a narrow trail through changing landscapes and environments. Reaching the top of Big Mowbray Falls won’t disappoint, with an impressive lookout offering views over the Mowbray Valley below. Enjoy morning tea besides the any rock pools and shaded areas along the head of the falls. Relax and watch for wildlife or cool off with a refreshing swim before heading back.